The bumps mean no tying needed! 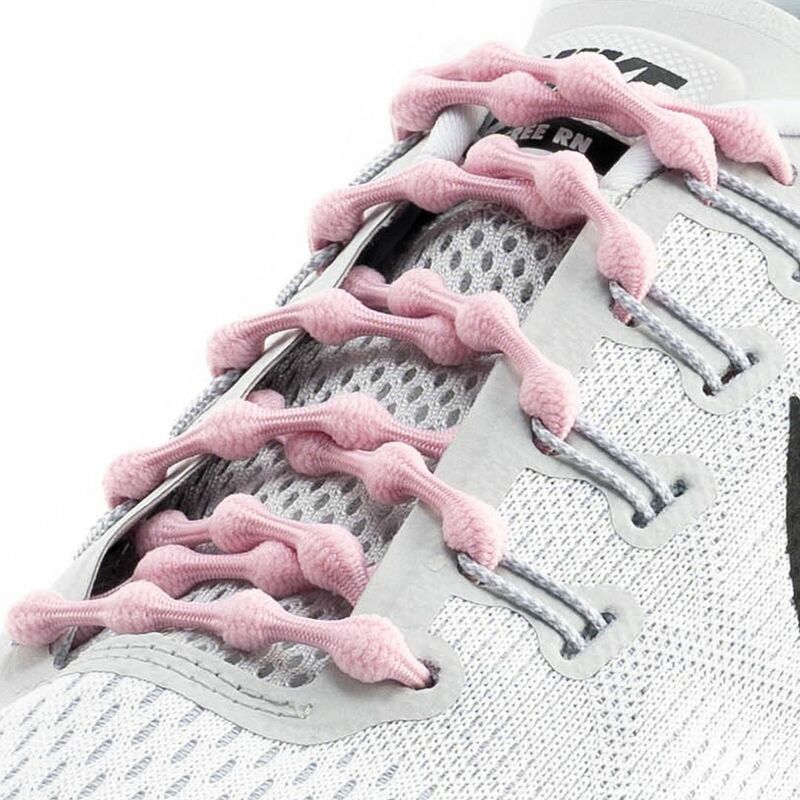 Caterpy Laces are a novel lacing system that turns your running shoes into slip ons. They feel like a stretchy shoelace with bumps and come in a variety of colors. Setting them up takes a tiny bit of work since you’re threading the bumps through the eyelets, and the bumps are bigger than the eyelets (this is what keeps them in place). Adjust them with your foot in your shoes, and once you’re done, you never have take the time to lace, unlace, or tie your shoes again! Best of all, the tension is evenly spread throughout your shoe so you won’t have any pressure points, allowing for improved blood circulation and comfort without losing the snugness of your shoe. Make your life easier with Caterpy Laces!